Dave says: "I love mine!" 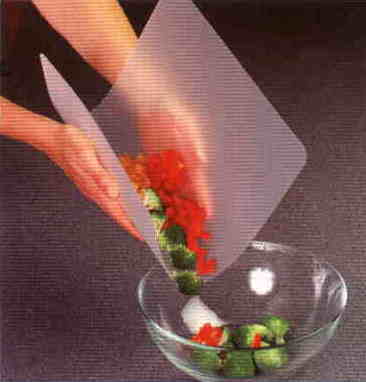 Pour food directly into the pan! Packs of four are color coded by food type. 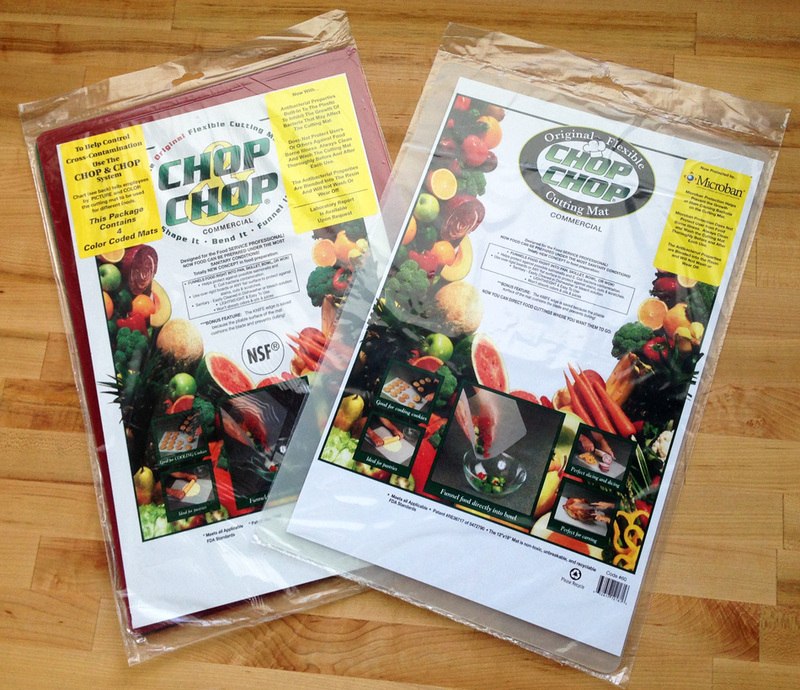 All Chop-Chop cutting mats are in stock, quick ship items (ships in 24 hours or less). Orders for Chop Chop cutting board mats can be placed by phone (1-877-386-7766), or Secure Online Order Form. 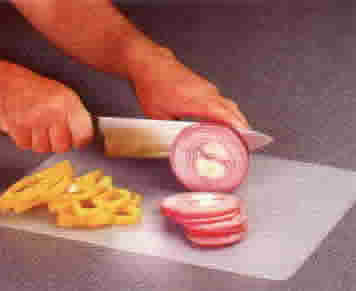 Packages of four are color coded for food type: Red (meat), Yellow (poultry), Blue (seafood), Green (Dairy/Vegetable/Fruit).